I don’t think compensation is really a solution to this problem. Apart from anything else, the parasite end of the market would probably start texting people asking them in they want to claim compensation for spam emails. The rules should work to protect us all, rather than allowing opening doors to the few who can be bothered to sue – which is why I think we should encourage / push those who make and enforce those rules to tackle the mischief overall. Mansfield claimed £150 per email. The District Judge awarded him just £10 plus £25 costs. Small beer, he’d probably have have earned more busking outside the court. He states on Twitter that he’s done this before, so can hardly claim to be ignorant; but ‘previous’ is not taken into consideration. 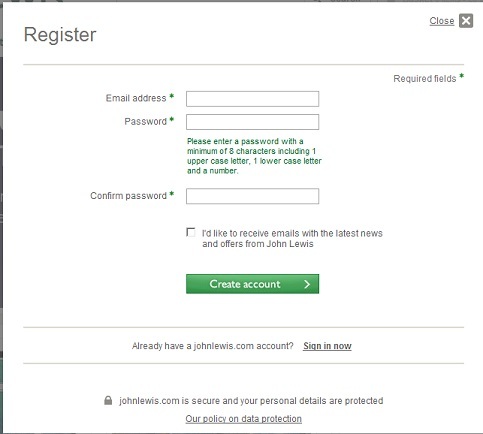 The DJ ruled on PECR 22(3)(a), John Lewis claimed that Mansfield had entered into negotiations by creating an account online. I mean, why would anyone create an account if they weren’t going to make a purchase? I wonder if Mansfield is engineering these situations for publicity. That’s really interesting, and would rather confirm my suspicions – thanks. If you can find out which county court this was heard in, you can submit form EX107 http://hmctsformfinder.justice.gov.uk/HMCTS/GetForm.do?court_forms_id=161. I’ve asked Mr Mansfield for some further info but not heard much yet. I’ll ask him if he can say which court it was. If you respond to a specific enquiry (i.e. person asks you to tell them something), then the contact is solicited: no breach. If as part of a sale or negotiations for a sale, you tell them explicitly that you will send them marketing about similar products or services and offer them an opt-out, equally, you’re fine. But if you have sent them marketing outside these specific conditions, whether or not the £500 claim is valid (probably not), PECR may well have been breached.